When you have a leaking roof in your home, office or industrial warehouse, chances are that your walls and ceiling will eventually be damaged. If you notice any signs of leaks either in your office or in your home, get a roofing repairs Pretoria expert who understands the situation and will repair it in the best way possible. We know every aspect of repairs having been in the industry for a very long period. We have conveniently handled thousands of homes and provided exceptional results carefully tailored to meet the owners’ needs. No matter the kind of roof you have, our specialists will make sure that your roofs get a new look in addition to fixing all the leaking areas. Insulation is essential to those who want to curb moisture build-up. If you are serious about taking care of your residential or commercial premises, our roof repairs in Pretoria will come in handy to provide effective insulation services at affordable costs. Get in touch for both residential and commercial queries. If you need renovations, get in touch with us for a comprehensive range of all the options we have on offer. We are available all day long and we fix all issues, including guttering repairs and leak detection. 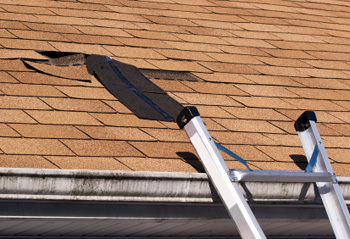 If your roof is damaged either partially or completely, you need to have it repaired as soon as possible. We always analyze the situation carefully to determine whether there is need to for complete replacement or only the leaking spots need fixing. Call roof renovations Pretoria to handle your Perspex, concrete, iron, IBR roofs or any other. For roofing repairs and all other waterproofing services call our contractors today on 012 004 1887!